Playa Blanca, meaning “White Beach” is on the southernmost tip of Lanzarote and is the newest resort on the island. 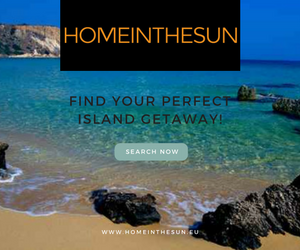 Playa Blanca has many beaches and coves with the main ones of Playa Dorada, Playa Blanca and Playa Flamingo being the most popular. The beaches in and around Playa Blanca are sheltered and as such ideal for swimming and sunbathing. 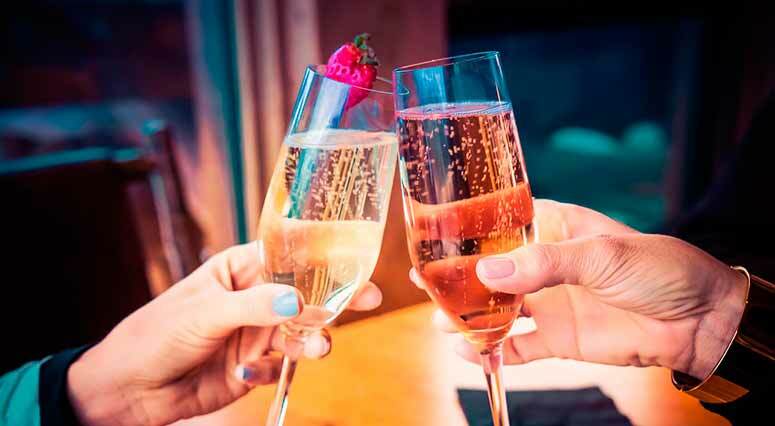 As a modern, purpose built resort you’ll find free wifi in most places but why not switch off your phone, tablet or laptop and really relax on holiday. Playa Blanca is overlooked by the dormant volcano, Montana Roja. Take walk up to and around the rim of the mountain, it’s not too difficult and there are fantastic views over Playa Blanca, and across to Fuerteventura. Within the crater, there are rocks arranged into names with messages. 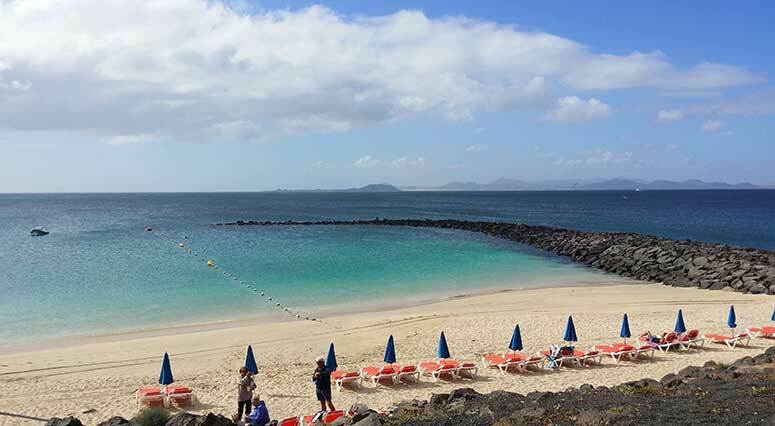 Until quite recently, Playa Blanca was a small fishing village and whilst a lot of building work has taken place in recent years, it is now back to its tranquil self. The nightlife is quiet and easy going, if you are looking for a more lively resort, Puerto del Carmen is renowned for its nightlife. There’s a whole range of fun things for everyone right on your doorstep. Playa Blanca is home the Aqualava aquapark, the Underwater Museum (Museo Atlantico) whilst Playa Dorado and the Marina Rubicon offer a range of sporting activities from sailing to diving. There are also lots of play parks and free gym equipment dotted around the resort that you can make good use of when you’ve have had enough of the beach or the pool! Enjoy a good old english breakfast or do what the spanish do and drop into a local cafe for a sandwich or pastry. There are endless good quality options for lunch and evening meals, it really depends on what you fancy and when. 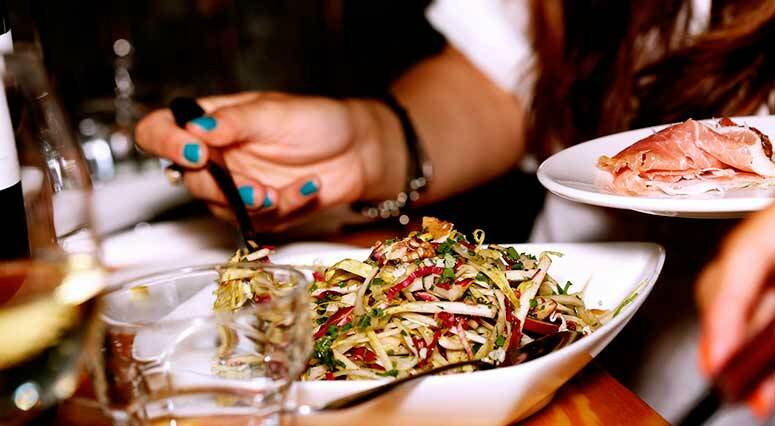 Look for great meats, fish and tapas if you’re looking for local food or choose from a range of international foods like Italian, Indian, Chinese – you’ll be spoilt for choice! 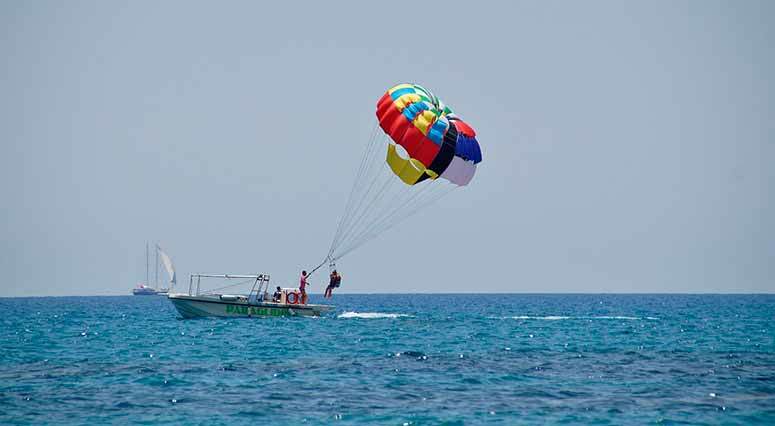 If you’re not visiting Playa Blanca with the intention of doing watersports why not consider having a go at something new? 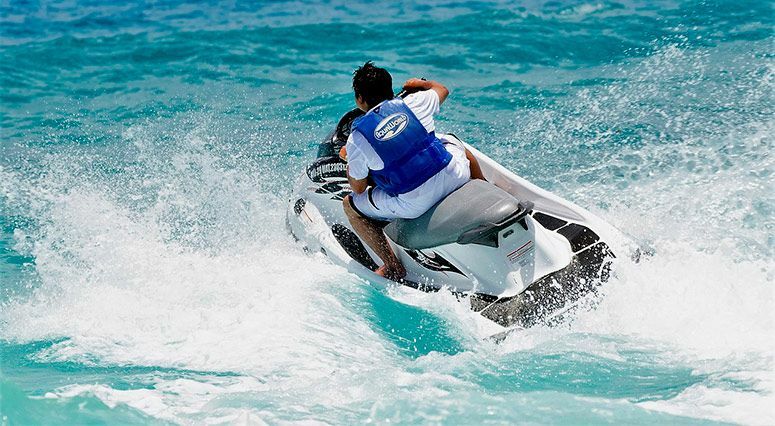 There’s loads to choose from – Playa Dorada offers some high adrenaline water sports such as Jetboad rides, parascending, jetski rental, jetski safaris, banana ski bus and Flyboard. 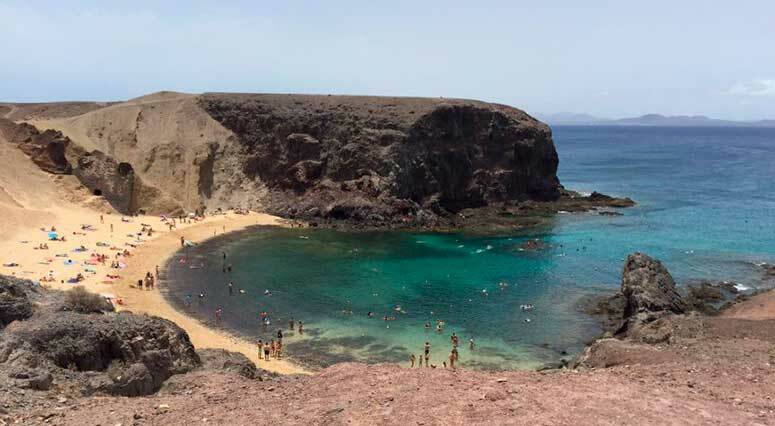 If you’re not really up to high adrenaline sports, why not visit Papagayo, it’s sheltered variety of beaches are sure to please. Playa Blanca town offers a range of designer clothes and shoes outlets as well as perfumeries, jewellers and souvenir shops. You won’t have to walk far to come across some lovely bargains. The Marina Rubicon also offers designer clothing, boutiques and artisan shops, the new commercial center overlooking the marina offers a variety of spanish clothes shops. 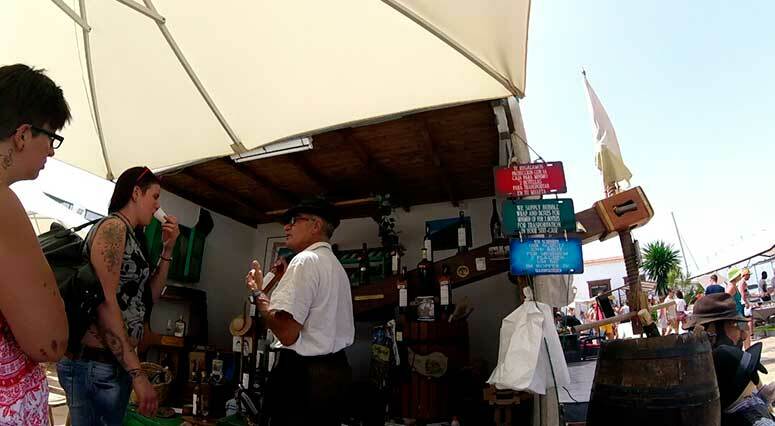 Marina Rubicon also has a market every Wednesday and Saturday morning offering artisan goods and souvenirs. It’s a lovely place to spend the morning followed by a leisurely lunch. Check out our blog with great ideas on what to do with family in and around Playa Blanca!